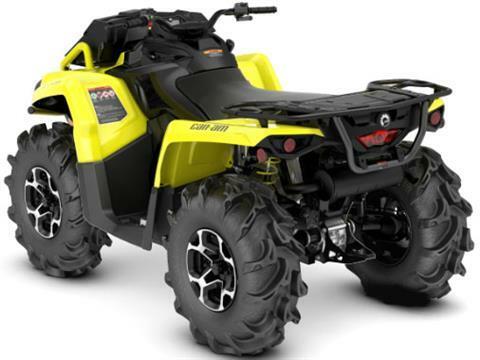 The most accessible mud-ready ATV on the market. Take on any mud hole with confidence and best-in-class power. 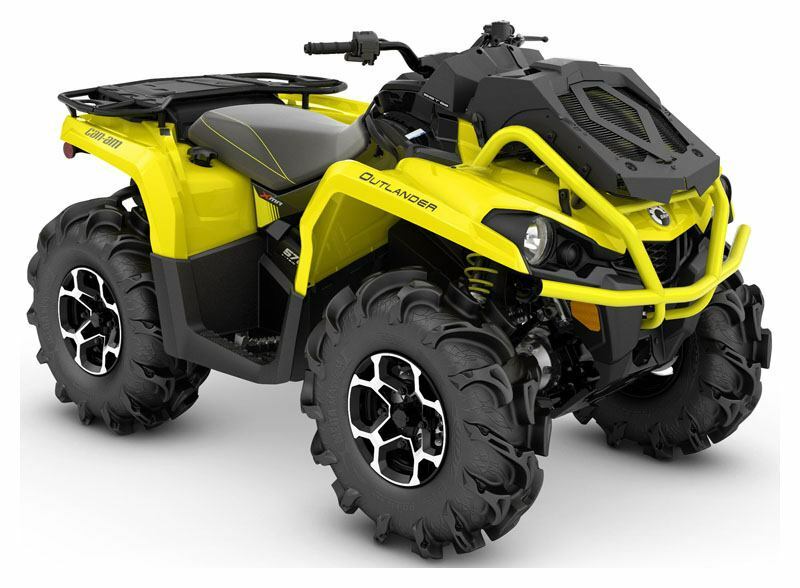 ROTAX 570 V-TWIN ENGINE: Equipped with the 48 hp Rotax 570 liquid-cooled V-Twin engine, with four valves per cylinder and single overhead camshaft, this Can-Am engine gives you the power to get in and out of the toughest mud holes. 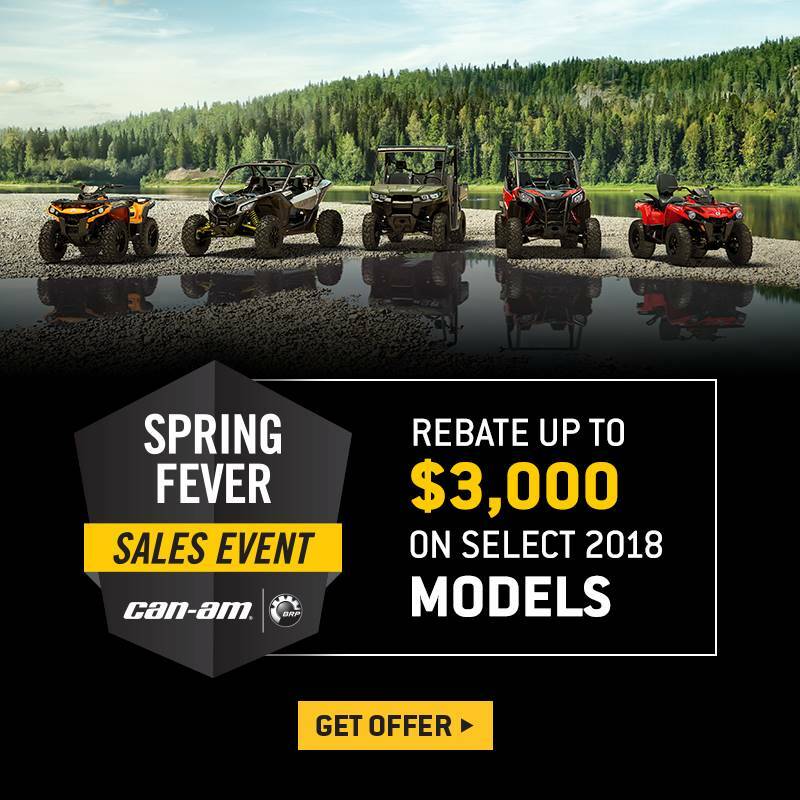 RELOCATED RADIATOR: Located in place of the front rack, the Can-Am Outlander X mr's radiator is kept out of the mud and wears a protective, vented cover, ensuring you'll be able to enjoy all-day rides in deep goop. The large, efficient radiator offers approximately 22 kW of cooling capacity. 28 IN. ITP MEGA MAYHEM TIRES WITH 12 IN. CAST ALUMINUM WHEELS: The 28 in. (71 cm) ITP Mega Mayhem† 6-ply tires offer exceptional mud characteristics. Large lugs and an aggressive tread pattern are designed to give maximum traction in the mud and a smooth ride on hard pack surfaces. The 12 in. (30.5 cm) cast-aluminum wheels reduce unsprung weight and offer improved strength. VISCO-LOK QE AUTO-LOCKING FRONT DIFFERENTIAL: All DPS-equipped models have Visco-Lok QE, which has all the features and benefits of the standard quick-engagement Visco-Lok† differential, but with an even quicker engagement point. This differential, unlike some competitors' differentials, does not have a speed limiter. RUGGED FRONT BUMPER: The front bumper is factory installed and is covered by a factory warranty. The added protection gives peace of mind in rugged conditions.